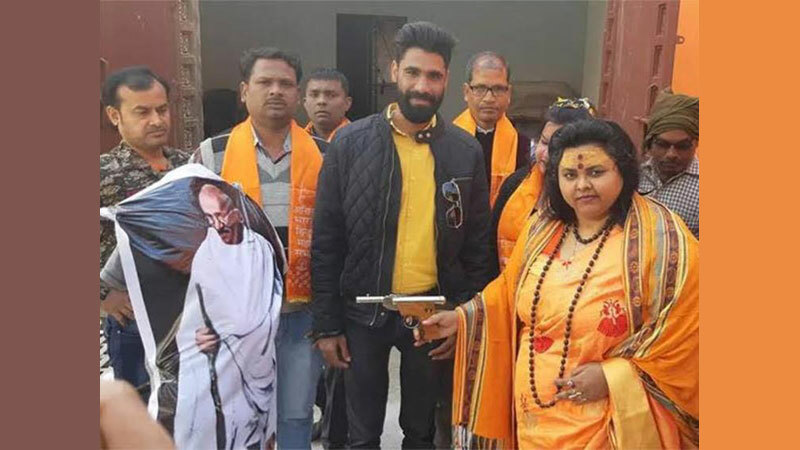 The Hindu Mahasabha had organised an event to "celebrate" the 71st anniversary of Gandhi's assassination. Police had been seeking Ms Pandey's arrest since the video, believed to have been released by her group, emerged last week. They had already made several other arrests in connection with the video which was shot on 30 January - the day Gandhi was killed. "We arrested nine people within a week and are searching for two more suspects in the case," police officer Neeraj Jadaun told the BBC.